NUTRITECH DAA ALPHA has been formulated using the alpha amino acid d-aspartic acid, with 3200 mg per single serving. An exceptional choice for the athlete looking to increase strength, sporting performance, muscle mass and boost recovery. D-aspartic acid (D-AA) is an amino acid regulator of testosterone synthesis. NUTRITECH DAA ALPHA is easy to consume and perfect companion an athlete’s early morning pre-workout regime. 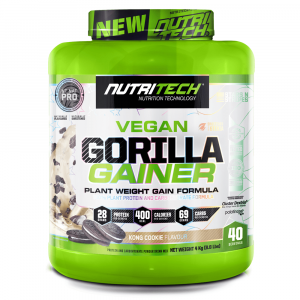 NUTRITECH™ ZMA® + TRIB has been specifically designed as an all-natural, anabolic mineral formula to be taken at night. In men, testosterone levels peak in young adulthood and decline over time. NUTRITECH™ ZMA® + TRIB combines Zinc, Magnesium, Tribulus and Vitamin B-6, to help boost natural testosterone levels, promote recovery after exercise and maximise absorption. Research shows that D-Aspartic Acid exerts powerful anti-catabolic activity to help prevent muscle breakdown, improve recovery to enhance muscle growth, strength and performance. Evidence suggests that DAA increases cyclic AMP in the receiving nerves and enhances the release of GnRH (the hormone that tells the Pituitary that testosterone levels are falling), as well as the hormones oxytocin and vasopressin. Studies show that testosterone levels in healthy adult males were boosted by an average of 42% in just 12 days by the supplementation of DAA. It was found that testosterone levels were still elevated 3 days after the discontinuation of DAA, indicating that it builds up over time, slowly decreasing after supplementation is stopped. Combining clinically tested ingredients. Evidence suggests: ZINC: plays a central role in the regulation of cellular growth and tissue repair, as well as the maintenance of a healthy immune system. MAGNESIUM: is essential for the maintenance of electrolyte balance, energy production and normal neuromuscular function. TRIBULUS: helps support healthy hormone production, fertility, male reproductive health and rejuvenate the body. Take 4 capsules daily (3 capsules for women), preferably on an empty stomach, 30-60 minutes before bedtime. For best results, avoid taking with dairy or other calcium-containing foods or supplements.